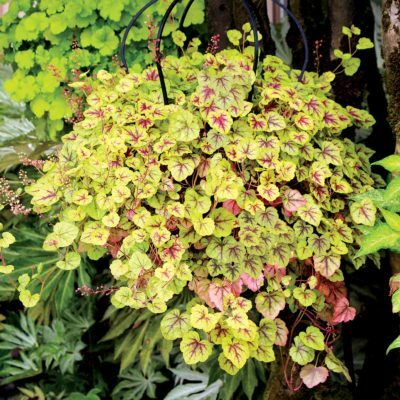 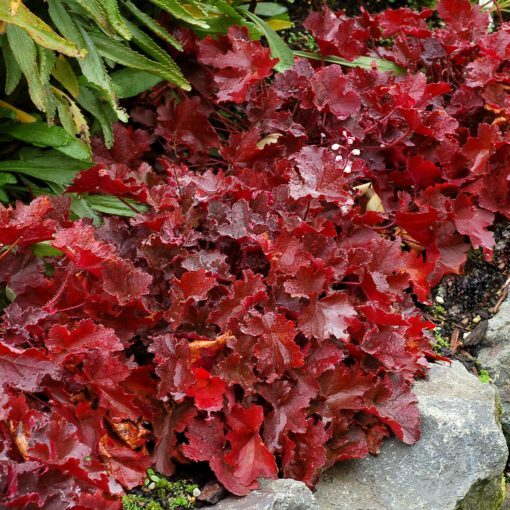 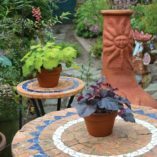 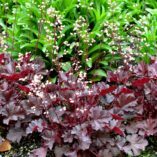 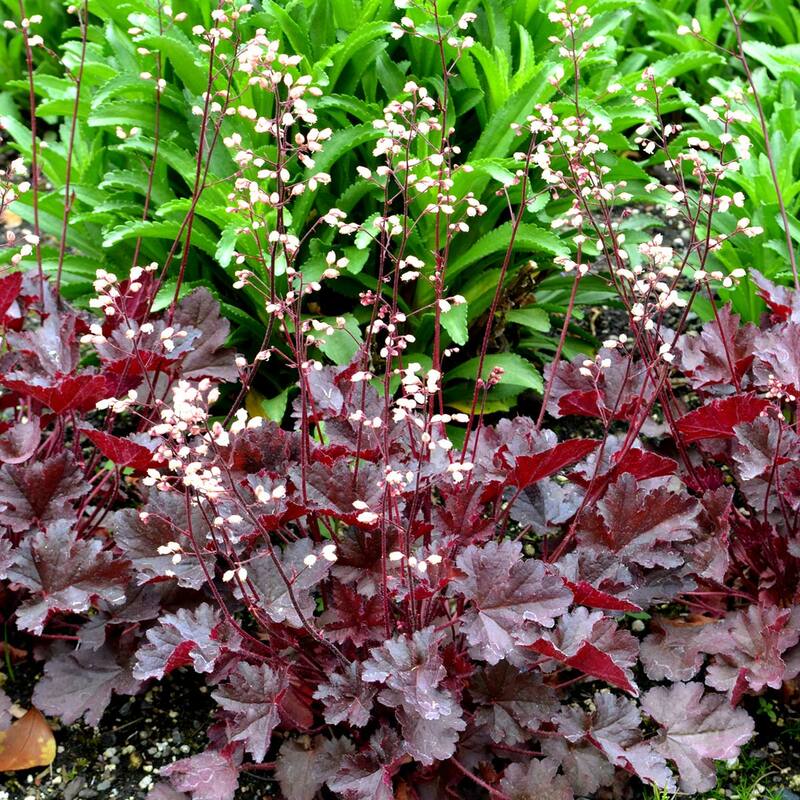 Heuchera ‘Coco’ | TERRA NOVA® Nurseries, Inc. 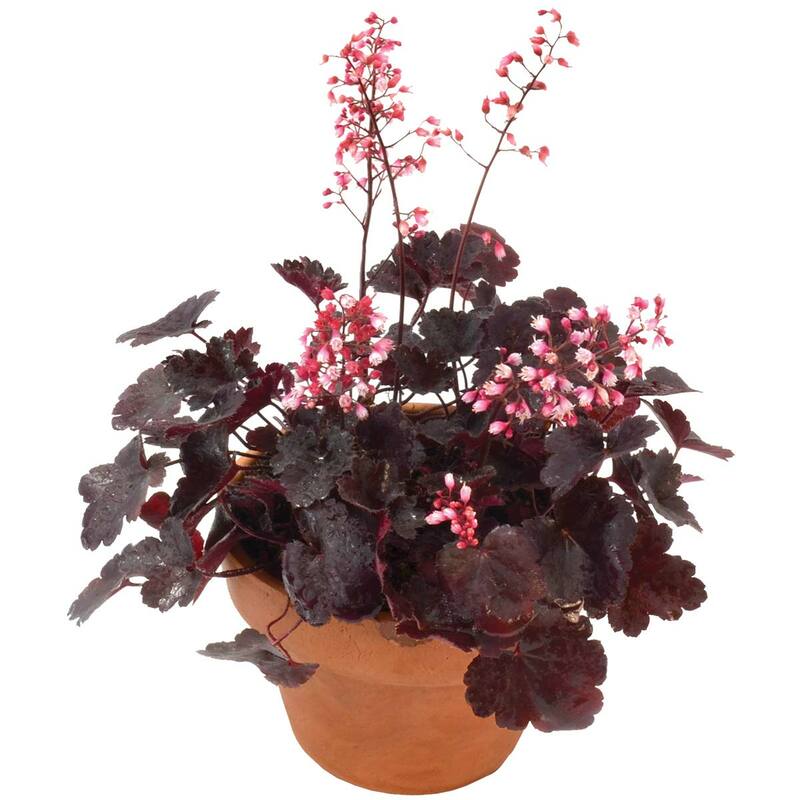 This sweet, dark chocolate foliaged cutie is a magnificent miniature of Heuchera 'Obsidian', with very nice, light pink flowers. 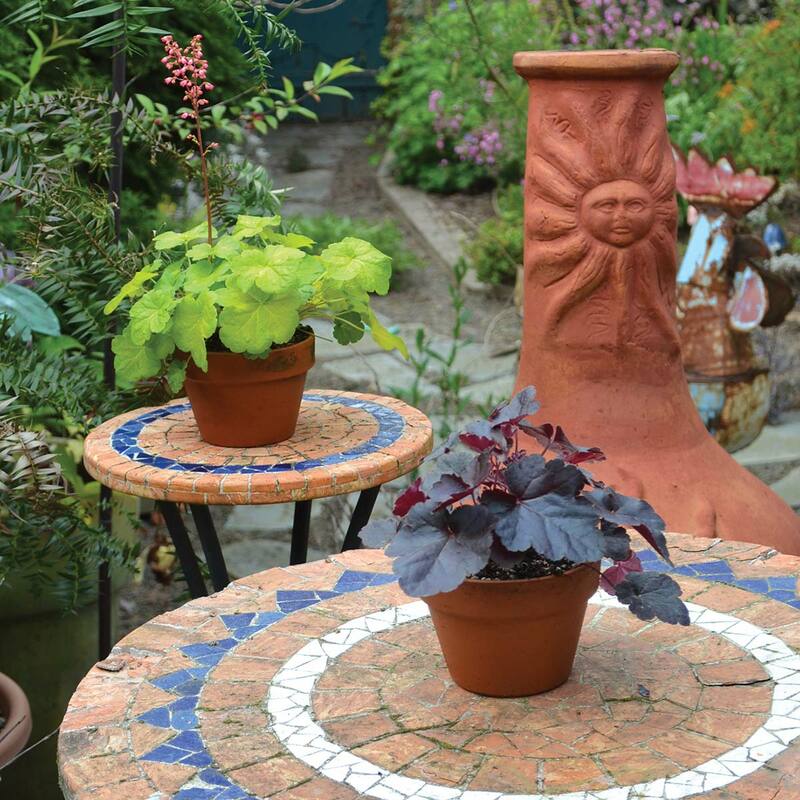 Measuring 6″ high and 9″ wide with 10″ high flower spikes, 'Coco' will charm the most jaded gardener. 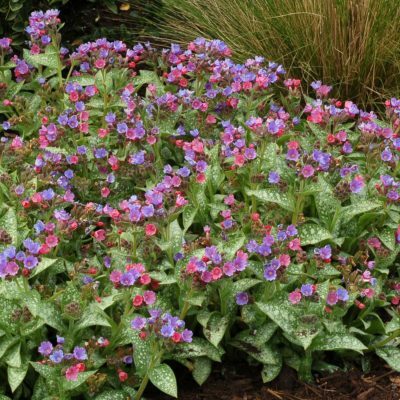 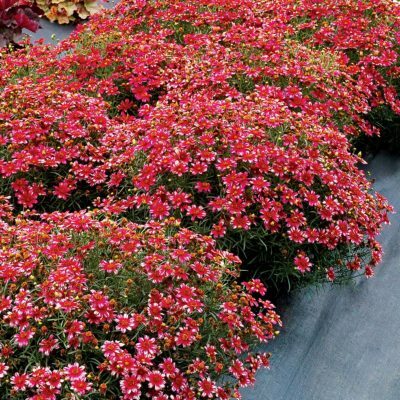 Very long blooming; great for pots, mixed containers in rock gardens or borders. 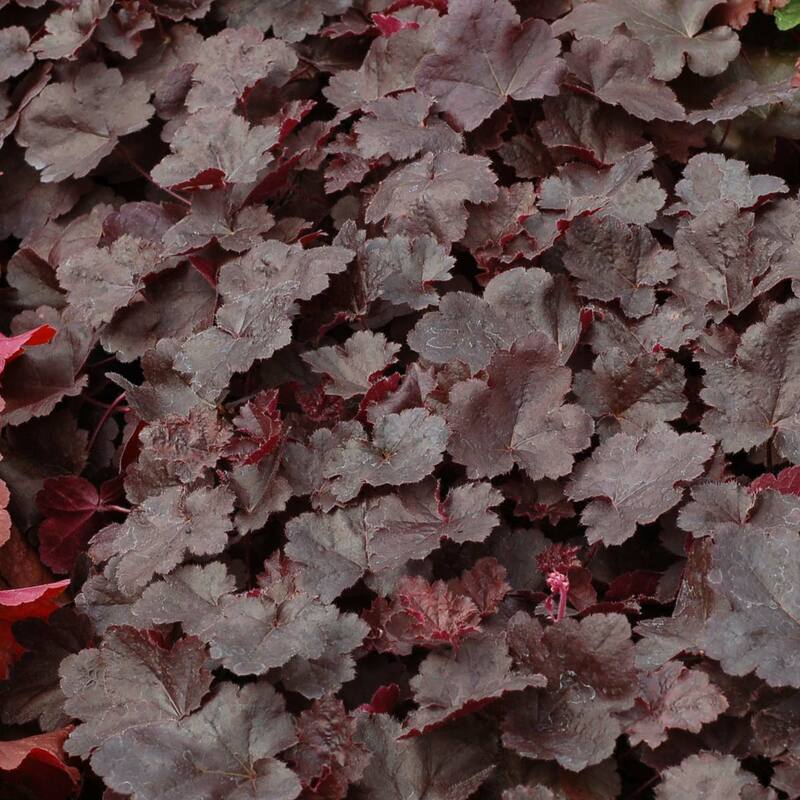 6" / 9" / 10"
A miniature Heuchera. 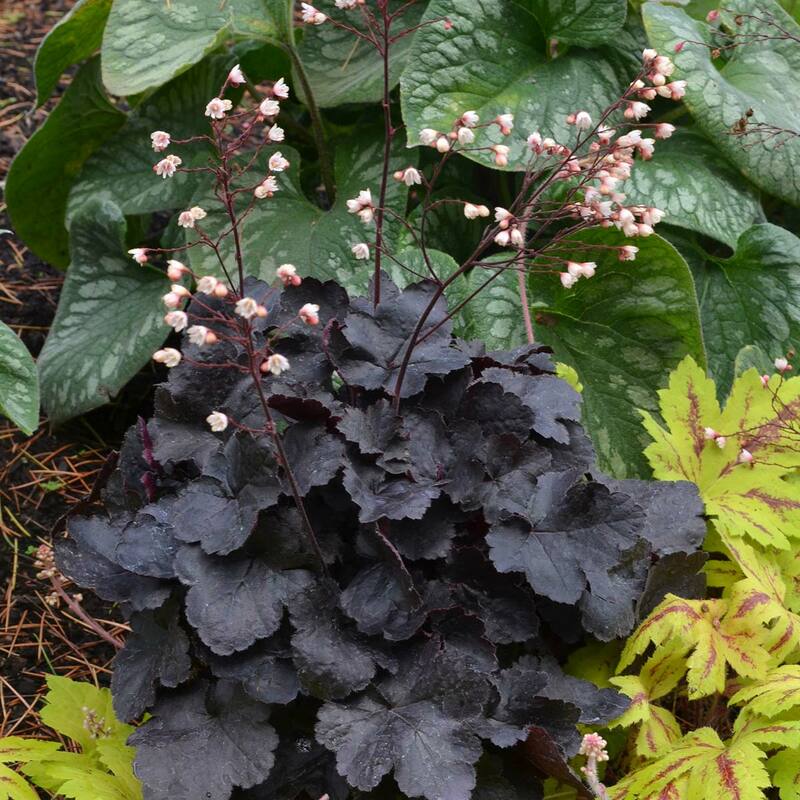 Compared to 'Blackout', it has a smaller habit and smaller, rounder leaves. 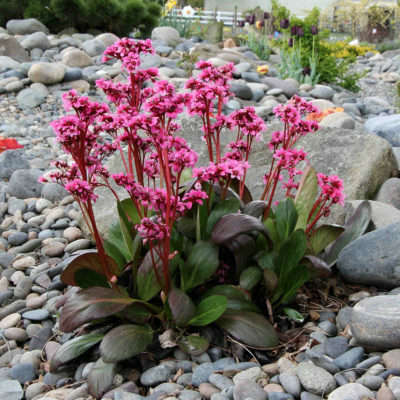 The flowers are short and light pink.